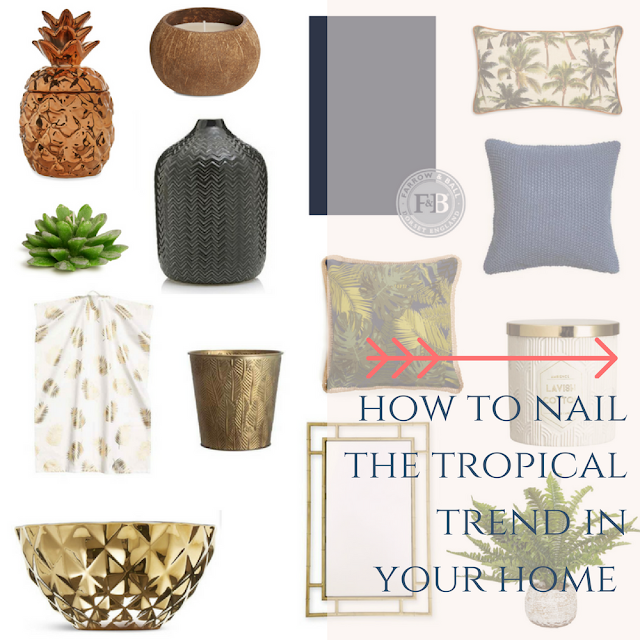 How to nail the tropical trend in your home - No redecorating needed! 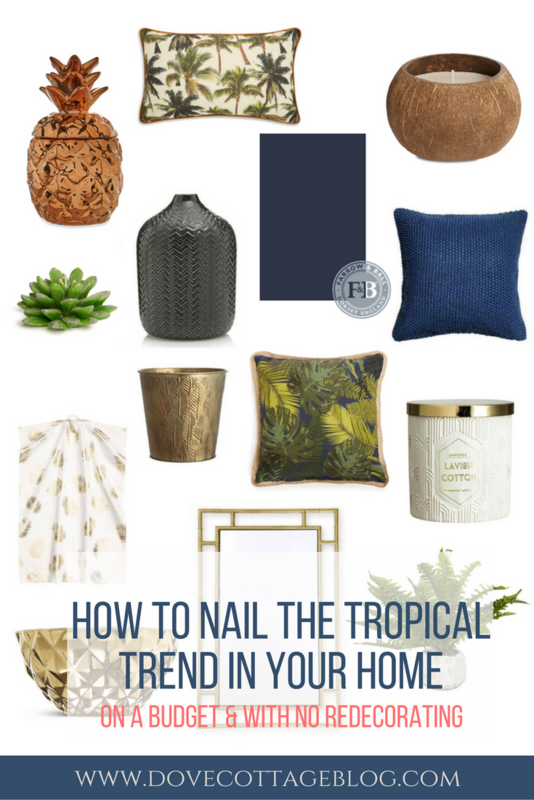 I don't know about you, but I'm absolutely loving the tropical trend that seems to be everywhere at the moment. It's so bright and beautiful, and adds a fresh twist to any room - perfect for the warmer months. 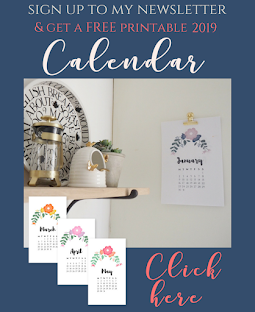 However, while you might not want to completely redecorate, it can be quite easy and cheap to incorporate this look into your home using just accessories and decor. 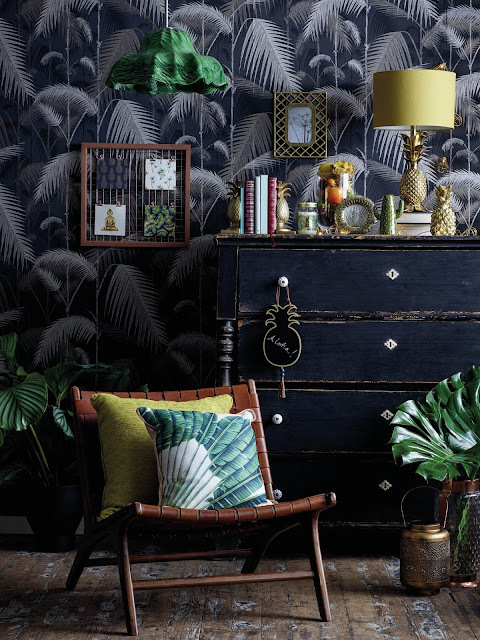 One of the major features of this trend is nature - exotic botanicals and succulents are king. But before you transform your lounge into a greenhouse, try adding a couple of houseplants (go faux if you're like me and are no good at keeping plants alive!) 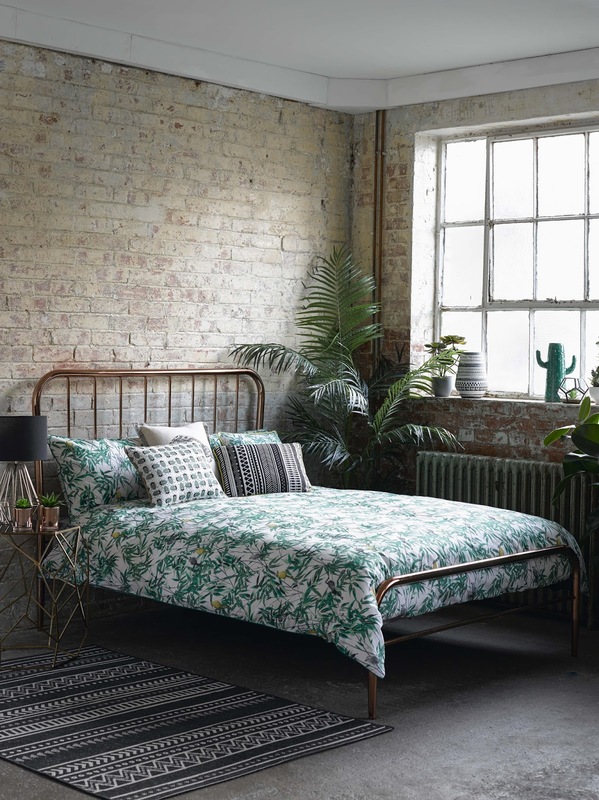 to your shelves, or introduce palm trees, cactuses and ferns in the form of motifs and prints. Earthy tones such as browns, greens and golds are major elements of this trend. 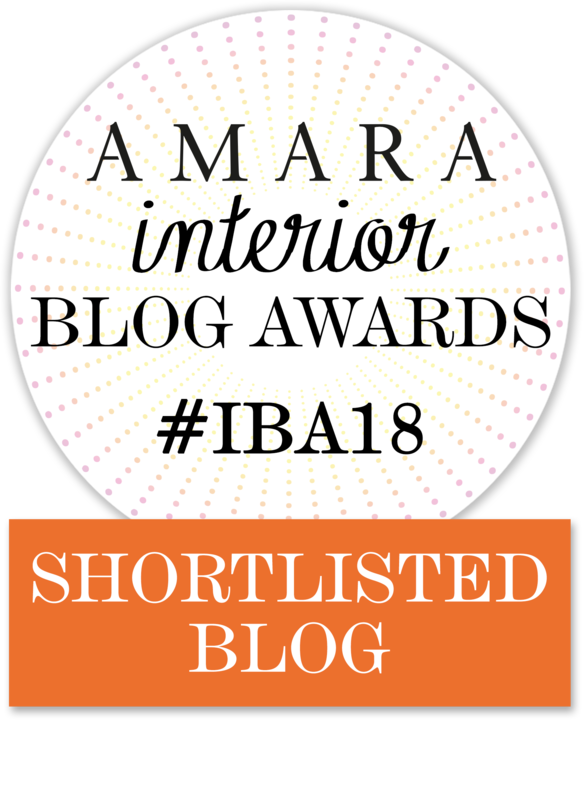 This doesn't need to be garish though, adding touches of these colours through accessories and fabrics is the perfect way to stay on top of this trend, without committing fully. How about using some gold spray paint to upcycle an old coffee table? This bargain Ikea Laptop Stand would be absolutely perfect for this. 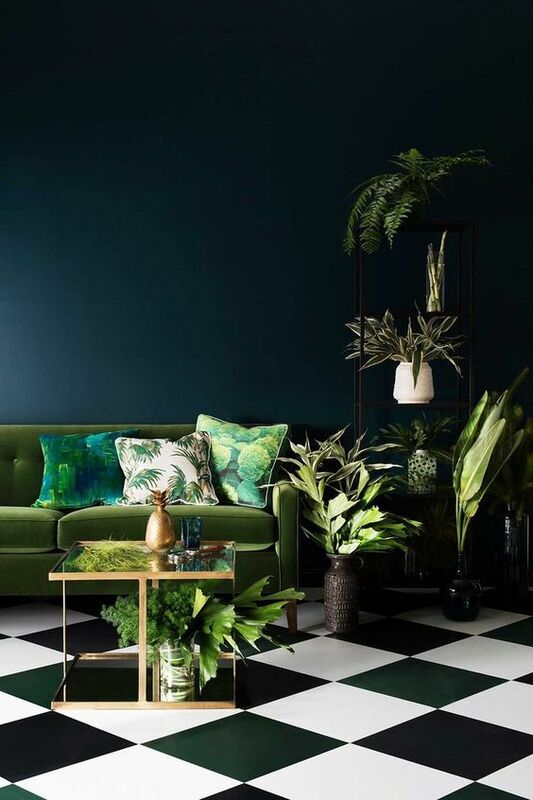 Stunning navy blues and darker wood can really set the scene for this look, however before you rush out and change all your furniture, how about adding a feature wall in navy (I've included the perfect shade from Farrow & Ball is below), or introduce some accessories in golds and greens? And while you're over there check out my Pinterest board Tropical Home Decor for more inspiration. Is this new trend something you'll be embracing in your home? 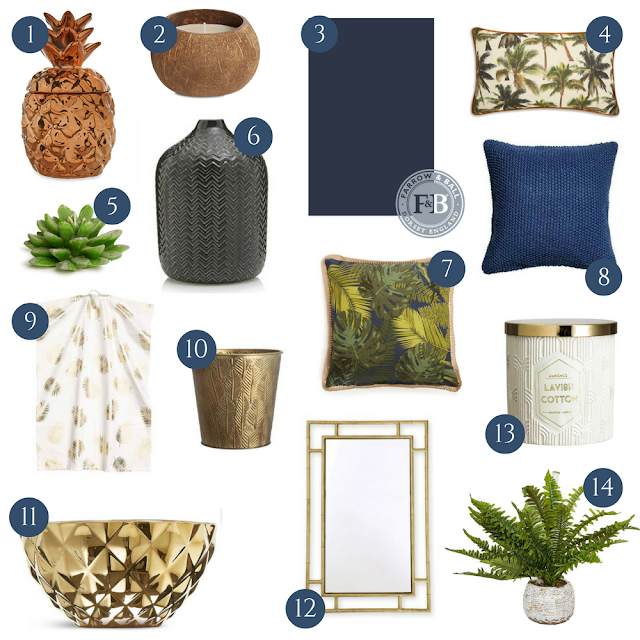 I'd love to see how you've styled this look - tag me over on Instagram: @dove_cottage.